We have come a long way within the customer service industry since Automatic Call Distributor (ACD) technology in the 1960s. One of the biggest changes undoubtedly being the shift from a voice-only call centre to the omni-channel contact centre, which encompasses any and all customer contact points, from web chat and email to social media and self-service. The technology, tools and processes have evolved tremendously, accelerating in the last few years, and so have the requirements for your people. Customer service agents are the brand representatives your customers engage with. No longer are they purely targeted on efficiency and getting customers off the phone as swiftly as possible, instead there is a requirement for a personalised interaction and emotional engagement so the customer feels the experience has been a positive one. But what have been the biggest changes in recent years? And how will this continue to develop? 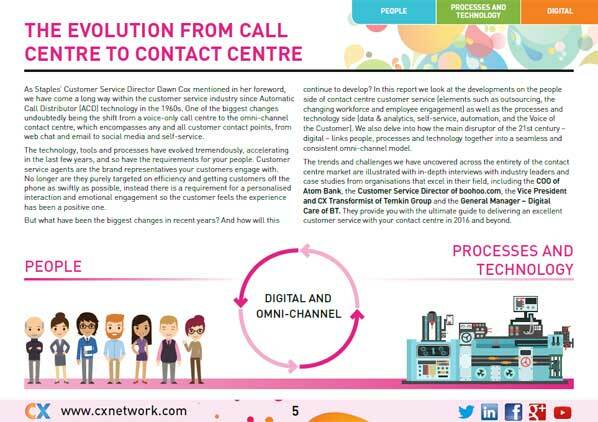 In this report we look at the developments on the people side of contact centre customer service (elements such as outsourcing, the changing workforce and employee engagement) as well as the processes and technology side (data & analytics, self-service, automation, and the Voice of the Customer). We also delve into how the main disruptor of the 21st century – digital – links people, processes and technology together into a seamless and consistent omni-channel model. The trends and challenges we have uncovered across the entirety of the contact centre market are illustrated with in-depth interviews with industry leaders and case studies from organisations that excel in their field, including the COO of Atom Bank, the Customer Service Director of boohoo.com, the Vice President and CX Transformist of Temkin Group and the General Manager – Digital Care of BT. They provide you with the ultimate guide to delivering an excellent customer service with your contact centre in 2016 and beyond. 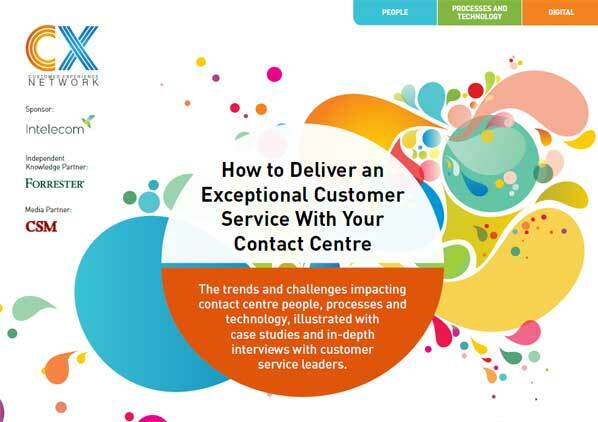 Download How to Deliver an Exceptional Customer Service With Your Contact Centre here.